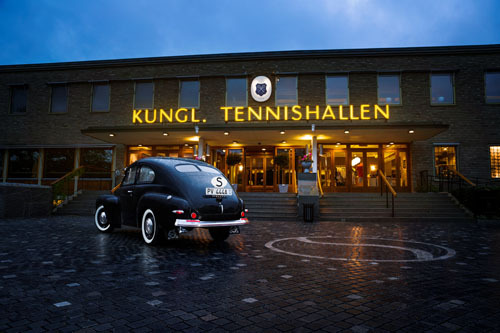 Kungliga tennishallen is a tennis venue in at the Lidingövägen in Stockholm, Sweden. The stadium was built in 1943 and has a capacity of 5,000. 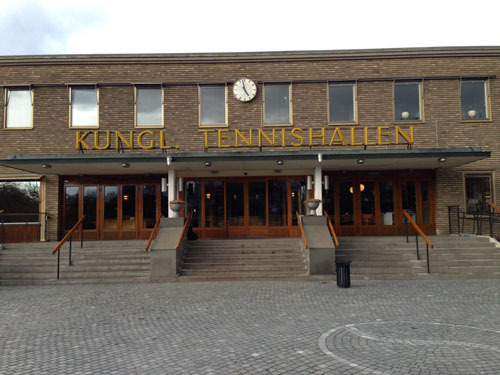 Kungliga tennishallen, now a hard-court surface, remains the venue for the Stockholm Open tournament. 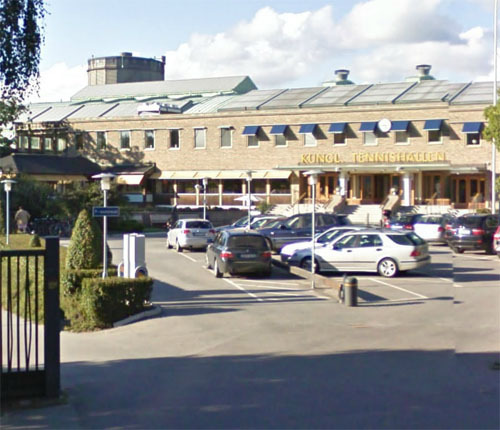 In 1975 the venue was the host of the year end Masters tennis tournament. “Kungl. 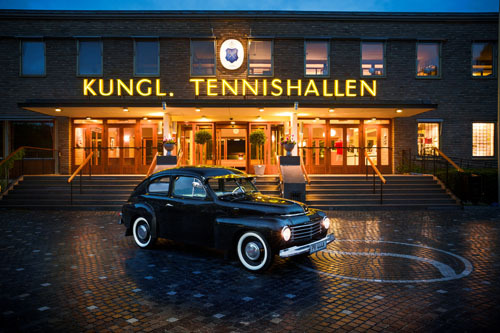 Tennis Hall is one of Sweden’s most remarkable sports buildings, erected in the middle of the second world war. 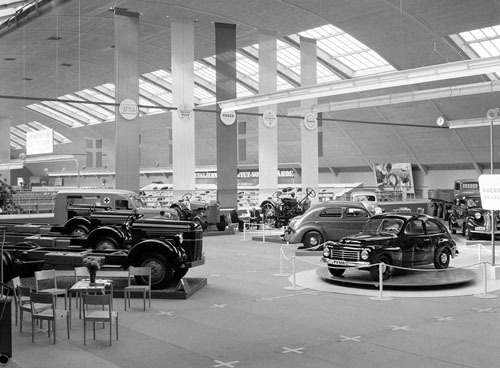 The hall had costed 3 million swedish krones to build and was completed in October in 1943. The project could be realized thanks to the strong support, not only from the King, but also from a number of contemporary prime contractors with Marcus Wallenberg at the top. The first year, it cost 8 crowns to play an hour of tennis. This was considered to be very expensive. Did you also have lighting on the track this additional cost 3 crowns. Although the tennis course, been the main hall’s attraction, so have a number of other indoor activities occurred over the years. Kungl. Tennis Hall worked for many years as the capital’s own Madison Square Garden. 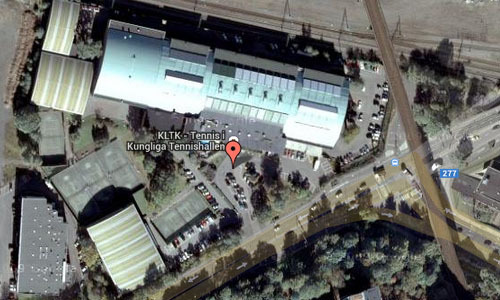 For years, professional boxing and international concerts very frequently occurring in the plant. Olle Tandberg, Ingo and Bosse Högberg in boxing, Sonja Heine in ice dancing and Louis Armstrong, the Beatles and the Rolling Stones in music are just a few examples of great sports stars and artists who have shown up for the Swedish audience in the Royal. Tennis Hall. In recent years, KLTK members and the board worked to develop and adapt the club and the hallway to the 2000s. A new membership structure has been introduced, and over 120 million have been invested in the plant to meet the future and our own high standards to the Royal. Tennis Hall will be one of the world’s top tennis facilities, in terms of indoor tennis, perhaps the world’s finest. 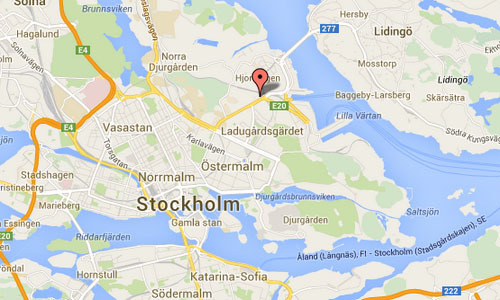 In 2014, the Volvo PV444 celebrates its 70th birthday by revisiting the place in Stockholm again. In 1943 the plans for the post-war period were now well under way. 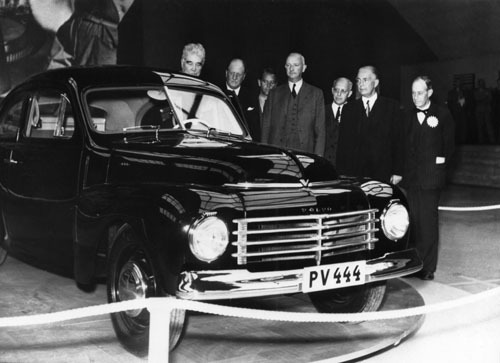 The new small car, which had been named the PV444 was due to be introduced in the autumn of 1944. Even at this stage Volvo knew that the car would be unique as it combined American design with European size. The latter proved to be a highly successful combination. It was also decided that the PV444 would have a 4-cylinder engine and rear-wheel drive. During the spring of 1944 more prototypes were built. The design of the body was strongly influenced by American trends and there was no question that the unitised body, made entirely of steel, was going to make an impression on the Swedish market. The engine, a short stroke 4-cyinder version was extremely economical on petrol and developed 40 bhp. It was known as the B4B and was the smallest engine Volvo had developed as well as being the first overhead valve engine. The gearbox was a three-speed in which the top two gears were synchronised. 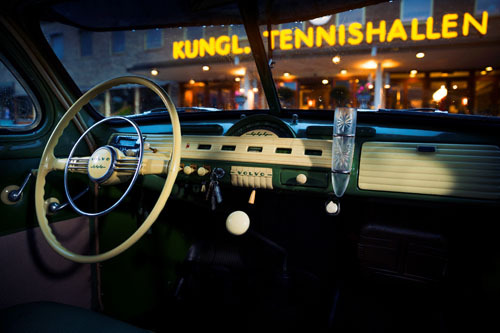 The car was also equipped with a world’s first in safety; the laminated windscreen. On September 1, 1944 the PV444 was given its first showing at the large Volvo exhibition in Stockholm where it aroused tremendous interest. 150 000 visitors came to see the 10-day exhibition. The day before the exhibition opened, the price of the PV444 was announced – SEK 4 800. 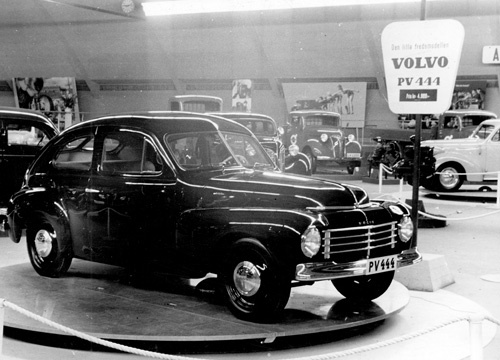 A highly attractive price – the same as the first Volvo car, the OV4 17 years earlier. During the exhibition and the days that followed 2 300 contracts were signed. Interest in the PV444 was so great that people were prepared to pay double and and more for contracts with an early delivery date. Even so, it would be 1947 before deliveries of the PV444 began. More information at en.wikipedia.org, www.volvomuseum.com, ifstockholmopen.se and www.kltk.se. 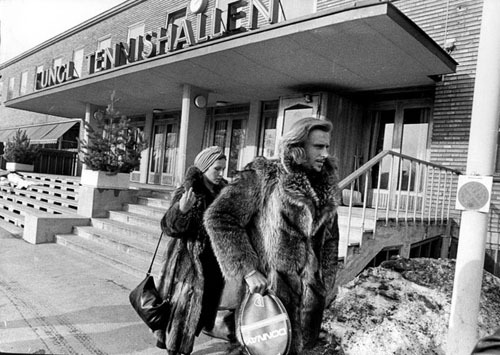 Great photograpy for Volvo Cars (and Klassiker) by Simon Halenius! Hade varit fint om jag fick mitt namn utskrivet med dessa bilder. Jag tog dessa till tidningen Klassiker för något år sedan. Tack för information! Vilka fina bilder. 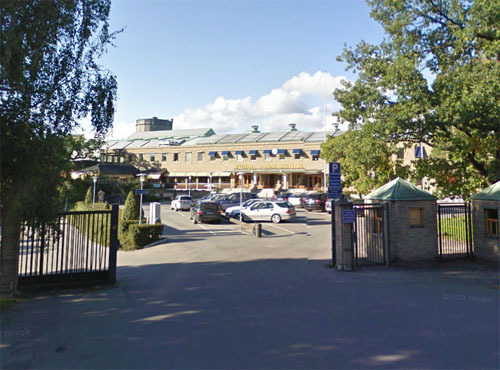 Har lagt din namn till bilderna.